Q: Where was Camptonville? 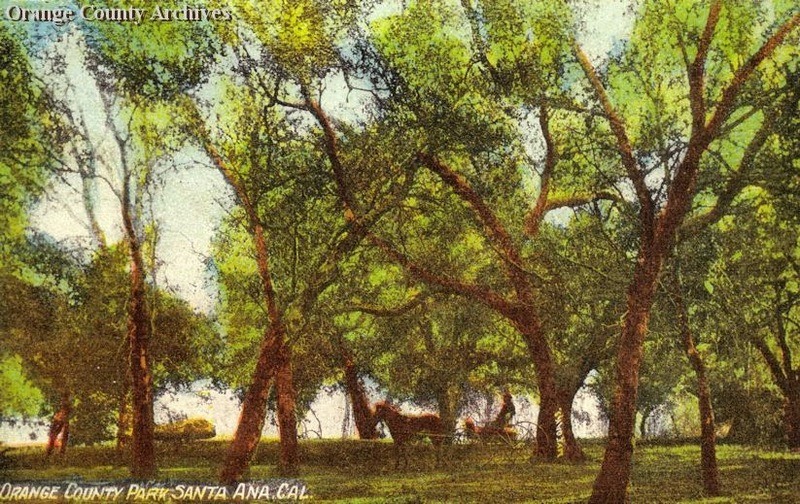 There’s a paragraph mentioning this old campsite on the OC Parks website, but I can't find anything more about it. Can you help? If this makes the place sound a little sketchier than the average family campground, you’d be right. It seems Camptonville’s reputation vacillated wildly over the years and the various shifts in the economy. But by 1917 the problem with “permanent campers” had reached the point where camping at Camptonville was banned. That seemed to turn things around, for a while. In the Summer of 1919, when twelve concrete and rock fireplaces were installed for picnickers at the park, two were built at Camptonville, which was again a popular place to spend a relaxing day. When the Great Depression hit, the north shore of the creek again filled with squatters. Sleeper notes that, “Unlike the canvas palaces of the old Camptonville days, these makeshift tar paper shacks were not for recreation, but shelters for the truly dispossessed. Spawned by the Depression, they ended with it. Henceforth, ‘permanent camping’ was no longer permitted” anywhere within the park. Today, the north side of the creek still holds a special appeal to those who enjoy the back country. Less developed and framed by rugged bluffs, it retains an air of adventure that has been somewhat diminished in the more combed-and-curried parts of the park. The old Camptonville site has most assuredly been heavily eroded by the many floods that have scoured the banks of Santiago Creek over the past century. So don’t expect to find any remains if you visit. We used to stage several hikes outside the gate to the area. From there we would proceed through the property on our way to various destinations.